Regis Philbin's troubled son Danny tried to kill himself by taking an overdose of pills after a nasty split with his wife, according to The Enquirer. The famous talk-show host had recently given his wheelchair bound son much-needed financial relief, but it couldn't solve the couple's problems, according to Danny's estranged wife, Judy Philbin. "Even after Regis stepped in to help us, Danny was miserable, angry and resentful. The difficulties in our marriage were apparently too deep to fix. Danny kept telling me he could no longer be a complete husband and that I should have a sexual affair with another man. Finally, I did. But Danny went nuts and kicked me out of the house in a jealous rage. He even got a restraining order against me, falsely claiming that I had threatened him." Judy says she left their home in Cathedral City, Calif., and on Feb. 8, Danny - a 43-year-old double amputee - went on a rampage. "He broke all the windows in the house and everything he could reach with a baseball bat," she revealed. The only things he didn't break were the sliding glass doors because they were too strong. Then he tried to kill himself with pills. He has lots of pills, including the narcotic pain medication Darvon and also Xanax. Police told me he took a massive overdose." Fortunately, a friend found Danny and rushed him to a crisis center. He was later admitted to a psychiatric ward at Loma Linda University Behavioral Medicine Center, according to Judy which was confirmed by police who responded to a "medical emergency" involving a "double amputee". Now Danny charges his estranged wife with attempting to extort money from his famous father in a blackmail plot. The alleged plot was revealed in official court documents when Danny sought a restraining order against Judy. "I learned by her admission that she had a plan to blackmail and extort money from my father," Danny stated in the court documents. Why has he not come forth about this on any occasion. He has a son whether it is a good relationship or not he still has a son. He makes comments on other people and their kids, so why not acknowledge his own problems. Joyce I agree - you are soo right!!!! I remember when Danny attended CA state univ and was always depressed and angry due to Regis not wanting to pay his tuition and book feels. 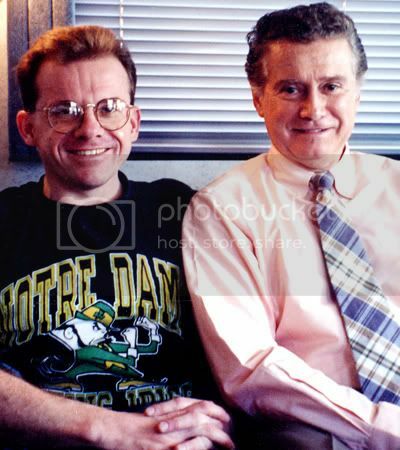 I have ALWAYS hated Regis for his treatment of Danny!